The Netherlands recently made environmental history, after its national train company NS, became the world’s first railway company to get 100% of the energy needed to power its trains from wind. This came into effect on 1 January 2017. Bright Vibes reports that each day there are approximately 1.2 million train trips made across the Netherlands and they now do not produce any carbon dioxide emissions. Initially the year 2018 was set as the target for converting to 100% renewable energy but after reaching 75% in 2016 the 100% target was reached one year ahead of schedule. NS and other Dutch railway companies teamed up with the energy company Eneco in 2015. The energy required to power trains in the Netherlands comes from newly built wind farms in the Netherlands as well as in Belgium and Finland. It is reportedly due to the early completion of some of these farms that enabled the 100% wind target to be reached one year in advance. 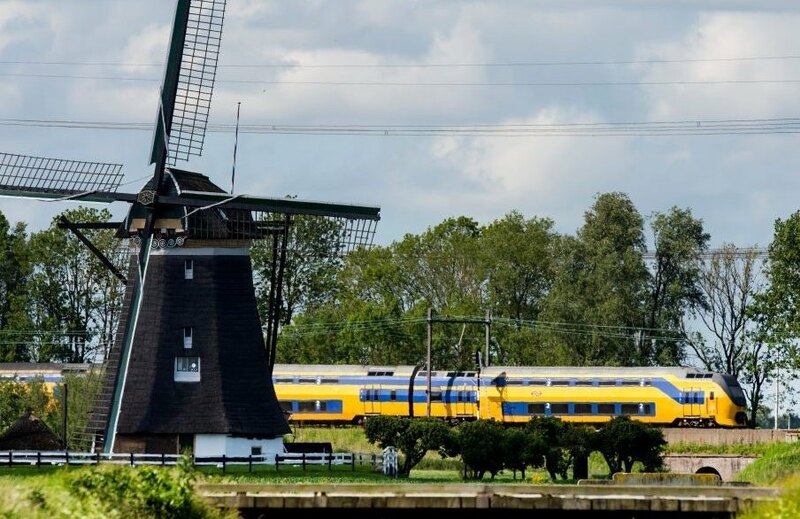 Their first target, which they also met, was to ensure that all Dutch trains were 50% powered by wind energy by the end of their first year in partnership. Across Europe wind power makes economic sense as onshore wind generation is the cheapest form of new power generation in Europe today. Due to an increased number of investments in offshore wind, the cost of procuring this energy source, is also rapidly decreasing. Wind in Europe accounts for €67 billion in investments plus annual turnover and has resulted in the creation of 255,000 jobs. With such high levels of investment wind is likely to play a central role in Europe’s energy mix in both Europe’s short- and long-term future. The switch to renewable energy is a major step forward for the Netherlands as it seeks to reduce both its transport sector and national carbon footprint. Each day around 600,000 people are transported on NS operated trains and this requires 1.2 kWh of electricity each year, an amount roughly equal to the annual consumption of all households in the Dutch capital Amsterdam. Sceptics of the transition to wind-powered trains have argued that it has resulted in increased unreliability. Tree leaves on tracks have the potential to disrupt train journeys or even force cancellations while others complain at increased ticket prices. However, it is likely that these will only be short-term side effects as the cost of wind continues to increase, new wind farms continue to come online adding more energy to the national and European grids and improvements are made in technology.